On 16 November 2015, Israel’s Prime Minister Netanyahu approved the construction of 454 settlement houses in East Jerusalem. Netanyahu is the record holder of settlement expansion. Since the occupation of the West Bank (including East Jerusalem), Gaza Strip and Golan Heights in 1967, Israel is constructing and expanding illegal settlements in occupied territory financed by the Israeli banks. Institutional investors facilitate Israel’s settlement construction through their investments in Israeli banks and profit from it. These investments are fuelling the conflict and are contradictory to the guidelines investors are supposed to adhere to: the UN Global Compact, the UN Guiding Principles on Business and Human Rights and OECD guidelines. Israeli settlements are illegal according to international law and are considered a war crime under Article 49(6) of the Fourth Geneva Convention and under Article 55 of the Hague Regulations (1907). In 2004 the International Court of Justice confirmed that Israeli settlements in the occupied Palestinian territory (including East Jerusalem) have been established in breach of international law. UN Security Council Resolutions 242 (1967) and 338 (1973) demand Israel to withdraw completely from the territories it occupies. UN Security Council Resolution 465 (1980) calls upon all States not to provide Israel with any assistance connected with the settlements in the occupied territories. The United Nations General Assembly, its human rights treaty bodies, as well as virtually all UN member states and other international actors have been consistently confirming the illegality of settlements under international law and have called on Israel to cease its construction. The independent UN fact finding mission investigating the implications of Israeli settlements concluded in 2013 that the Palestinian rights to self-determination, non-discrimination, freedom of movement, equality, due process, fair trial, not to be arbitrarily detained, liberty and security of person, freedom of expression, freedom of access to places of worship, education, water, housing, adequate standard of living, property, access to natural resources and effective remedy are being violated consistently and on a daily basis. This comprehensive definition shows that Israeli settlements are not just an abstract fact. The inclusion of ‘non-physical structures and processes’ makes clear that for example financial services are to be understood as an integral part of the Israeli settlements, and thus as a violation of international law and human rights. Launched in 2000, the UN Global Compact is a Corporate Social Responsibility and Responsible Investment framework which is commonly used by institutional investors. Principles 1 and 2 address human rights, which have been derived from the Universal Declaration of Human Rights. In 2006, the International Committee of the Red Cross, the guardian of international humanitarian law, concluded that humanitarian law standards apply to business enterprises in situations of armed conflict. In June 2011, the UN Human Rights Council unanimously endorsed the UN Guiding Principles on Business and Human Rights. These Guiding principles state under principle 12 that “the responsibility of business enterprises to respect human rights refers to internationally recognized human rights.” The commentary related to principle 12 stipulates that “in situations of armed conflict enterprises should respect the standards of international humanitarian law.” In June 2014, the United Nations Office of the High Commissioner of Human Rights clarified that an area under occupation falls within the term “conflict-affected area” in the UN Guiding Principles. This confirms that international humanitarian law and human rights law are applicable for business enterprises in the occupied Palestinian territory under the UN Guiding Principles.The UN Guiding Principles are integrated in the OECD Guidelines for Multinational Enterprises, making the UN Guiding Principles the most widely accepted framework for Corporate Social Responsibility and Responsible Investment. Israeli banks play a central role in facilitating the Israeli occupation and colonisation. This has been described in detail in Who Profits’ report ‘Financing the Israeli occupation’ of 2010 and its update of July 2013. The reports describe how Israeli banks provide the financial infrastructure for activities of companies, governmental agencies and individuals in the occupied territories. 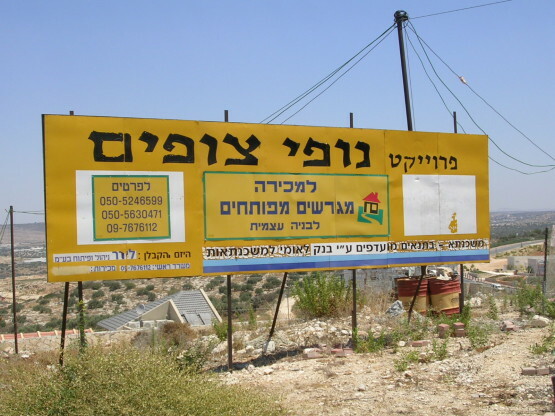 Involvement includes provision of mortgages for homebuyers, special company loans for the construction of housing projects in settlements, as well as the provision of financial services to the inhabitants of settlements through the operation of local branches, to Israeli local authorities in the West Bank and the Golan Heights and to settlement companies. Institutional investors like Dutch pension fund service provider PGGM, Luxembourg’s general pension fund Fonds de Compensation, Dutch pension funds APF (AkzoNobel) and BPL (Agriculture) and Danish Danske bank already divested from Israeli banks and put them on their exclusion lists. Like the Israeli government, Israeli banks do not differentiate between Israel and its settlements; Israeli law prohibits this distinction. Israeli banks are part of the physical structure of settlements through their local branches in the settlements and potentially through the individual houses, real estate and business property they hold as collateral for the loans provided. Israeli banks are also part of the non-physical structure and processes of settlements. They constitute, enable and support settlements through the provision of the essential financial infrastructure and services to settlement authorities to let them govern these municipalities and provide services to its inhabitants. Through loans the local settlement authorities maintain, develop and expand the existing settlements. The provision of these loans turns Israeli banks into investors in the development and prosperity of the settlements, as future income from taxes and other revenues serve as collateral for these loans. Besides that, Israeli banks directly participate in the settlement economy as municipal tax payers, again contributing to the development and prosperity of the settlements. Israeli settlements are illegal according to international law, constituting a war crime. Moreover, the Israeli settlements constitute a violation of numerous human rights. Israeli banks are an integral and essential part of Israeli settlements, which makes clear that Israeli banks not just facilitate, but are part of the war crime Israeli settlements are, and responsible for the human rights violations they constitute. Institutional investors who own shares in Israeli banks condone the construction and expansion of Israeli settlements and profit from it. Institutional investors should realise that their investments in Israeli banks violate the UN Guiding Principles on Business and Human Rights, and thus the OECD guidelines in which they are fully incorporated, and principle 1 and 2 of the UN Global Compact. It is clear that investing in Israeli banks is no longer acceptable. Not only ethical investors who claim to consider human rights when making investment decisions, but all institutional investors should realise the legal, financial and reputational risks involved and should accordingly divest from Israeli banks. Political parties, labour unions, churches and ordinary people increasingly want to know how their savings or pension fund money is being invested. They demand that it is being done in a responsible manner and ask their banks and pension funds: do our savings contribute to peace or conflict? To prevent further fuel to the conflict and to stop financing the occupation, time has come for a global call: stop banking on the occupation.